The characters available for play will be all 6 of the mane cast, though you will be limited to which ones you can be until a certain point has been passed in the story. 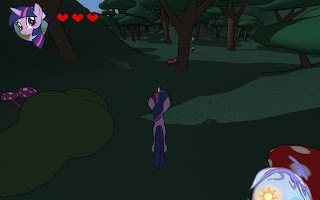 Minigames are also being planned, possibly some where you can play as other ponies for a short while. The world itself, according to the creator, will be a limited open world. The world will be almost completely open for exploration, except for areas directly relating to the story, areas you're not supposed to go to until later on. 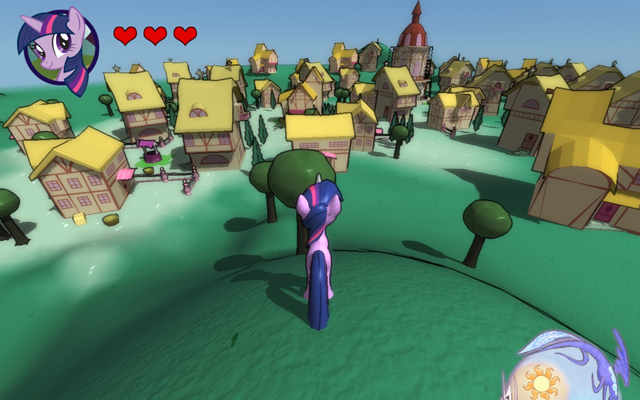 The current 'expected' release date of the Full completed game is sometime around June or July 2012. Though don't worry too much, the creator is expecting to finish sooner than that, it's just hard to put a final date on a project so early on. In the end, it's way too early to say too much about the project, but hopefully there will be a lot of updates along the way. It's a great looking project that we're already excited for.